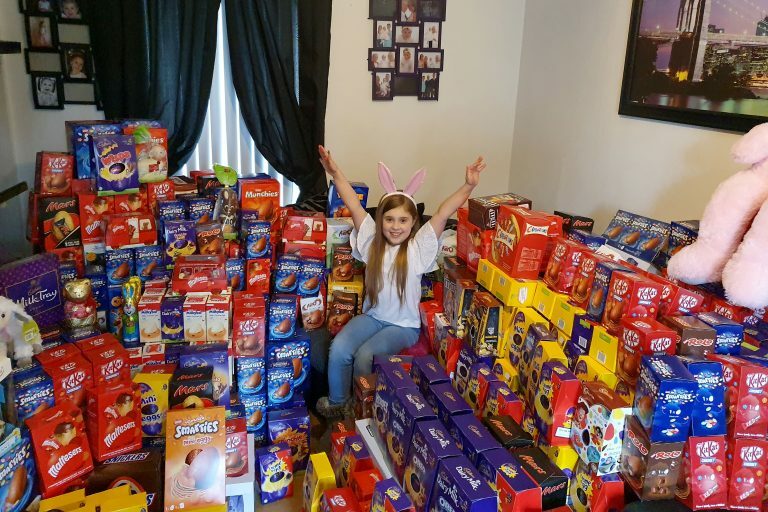 These incredible viral snaps show a selfless schoolgirl surrounded by more than 650 Easter eggs she collected for sick kids. 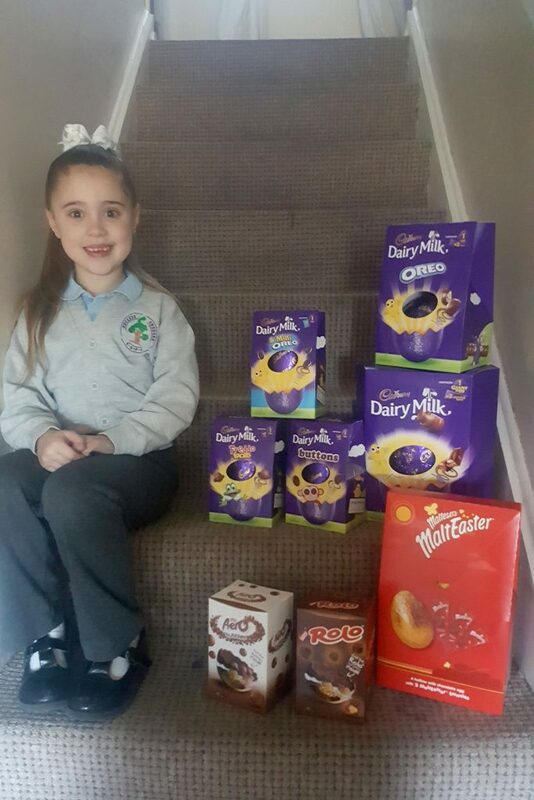 Nine-year-old Jasmine Parker, from Belfast, Northern Ireland, has collected 1,100 chocolate eggs for poorly children over the past three years. 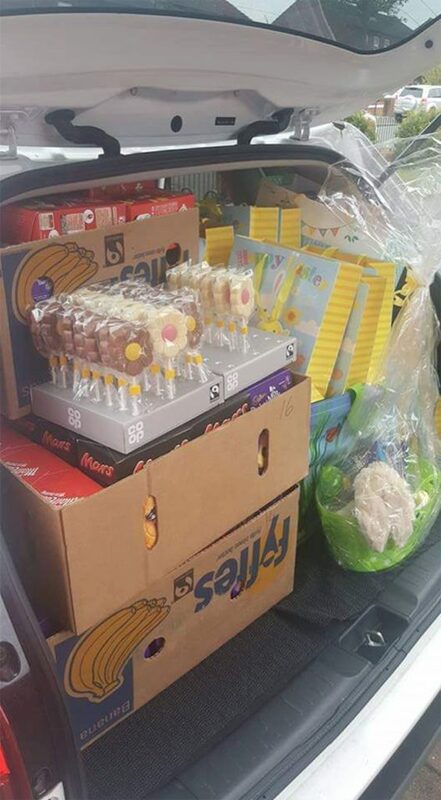 Each Easter, the kind-hearted youngster personally distributes them to children who are her age or younger at two hospitals and a children’s hospice across the city. Proud mum Maggie Johnston, 32, said she has very little involvement – as her role is simply to help load the car and to chauffeur her charitable daughter from one location to the next. 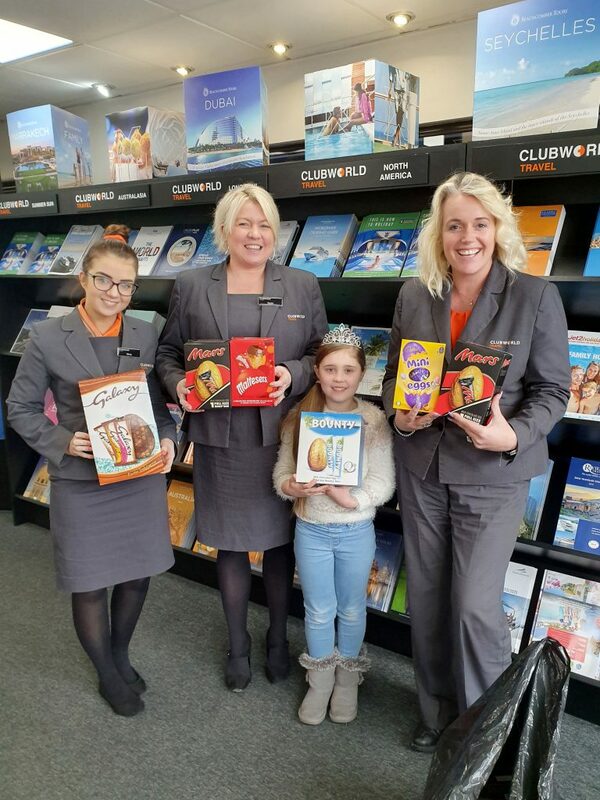 Baker and mum-of-one Maggie said: “Jasmine has always been kind hearted, so I wasn’t surprised when she was six and asked me if the Easter bunny visits children who are in hospital and sick. “I said ‘no’ and she came up with this brilliant idea that made me gleam with pride, she is naturally so caring. “I put a post on Facebook and she received 171 eggs from friends and family. “Ever since, she has been known for being the Belfast hospitals’ very own Easter bunny and now she gets a lot more donations every year. 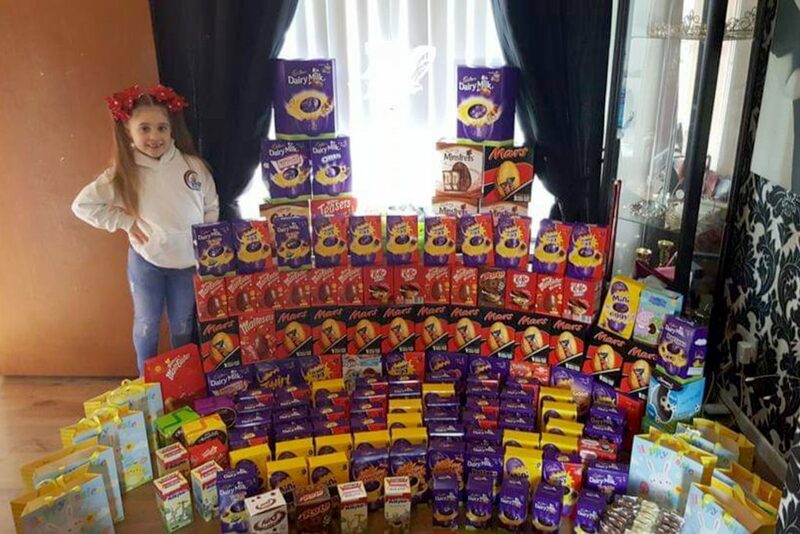 “This year, 50 eggs were donated from Scotland alone and local companies also gave us some – Jasmine was over the moon. “My living room is now full; we can’t even sit down on the sofa, but it is so worth it as the children will be amazed and so thankful. “Jasmine loves helping other people and you can’t wipe the smile off her face when she has given the eggs out on the wards. 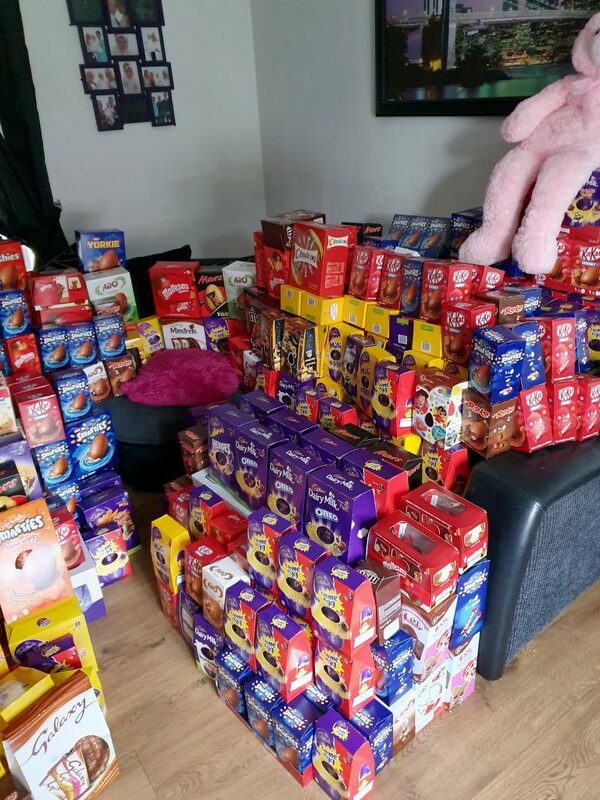 Jasmine took her appeal to another level this year and reached out to people via a local radio station to help get more eggs for The Royal Victoria Children’s Hospital, Ulster Hospital and a local children’s hospice. Incredible photographs show Jasmine surrounded by ceiling to floor stacked boxes of Easter eggs at the home she shares with Maggie and partner Jay Parker, 31. Maggie added: “Last year, there were 283 donations and my car was a tight squeeze as it was so full. “This year, we will need to use my partner’s car too as they won’t all fit in mine! “Our pride cannot be expressed in words, her enthusiasm to give to others over herself brings a smile to our faces. “We ask ourselves how did we get so lucky to have a beautifully kind hearted child. “Jasmine may have started this but if it wasn’t for the generosity of the people of Northern Ireland and further afield it wouldn’t have been as such as a success. “Everyone who donated has helped give a child a smile for Easter which is worth far more than anything else.